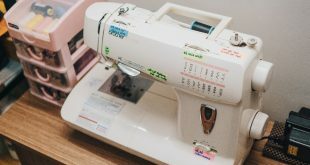 No matter if you’re an experienced seamstress or you’re a new entry level one, getting the right sewing machine is essential for developing your sewing abilities. Assuming budget isn’t that much of a problem for you, even though there are plenty of models that are great for the buck you’re paying, some features need to be considered when selecting your sewing machine. For instance, a sewing machine with built-in needle threader is going to make your sewing a lot easier. You’re not going to spend a lot of time threading the machine and some don’t even think about not getting one without the feature. Another feature that makes your life a lot easier is the top-loading drop-in bobbin. The bobbin is just going to pop out and drop into place and the see-through cover plate for this type of system so you can always check when the bobbin thread runs low. No seamstress can call himself/herself experienced unless he/she is able to sew sleeves, pants hems and other round garment pieces. A free arm capability for your sewing machine is going to help you do that easier and it’s a feature that you shouldn’t pass on when selecting a new sewing machine. Let’s take a look at several sewing machines, one on one, so you can make an idea which of them is going to work the best for you and your needs. Comparing these two Brother models is quite challenging as they both present amazing similar features, whereas the differences are minor but can help you decide which one works the best for your needs. The Brother XR9500PRW comes with no less than 100 built-in decorative and heirloom stitches, whereas the CS6000i only comes with 60 of them. For both models though, each of the decorative stitches has several stitch functions. The XR 9500PRW comes with 8 styles of 1-step Auto-size buttonholes, whereas the CS6000i comes with only 7 styles. Both of the models present super-wide (7mm) zig zag and decorative stitches and they both come with an oversized wide table that helps you engage into larger and quilting projects. The two Brother models present an easy bobby winding system and a jam resistant drop-in top system, so you win time when working with the machine. They also feature a needle position button so this gives both of the machines more versatility. Each of the machines comes with a built-in free arm for sewing cuffs and sleeves. The working area is well lit, even though it seems that the CS6000i does have a stronger LED. If you’re planning to also do some basic monogramming, you can only count on the XR95000PRW that comes with a sewing font for basic monogramming. Both of the models come with a carrying case, which isn’t very protective since it’s just a plastic cover that keeps only dirt at distance. The LCD display is well lit and easy to go through the menu. As a matter of fact, both of the models are fairly user friendly. The design of the sewing machines is very well thought out so all the accessories that come along (or you’re planning to get) are easy to store in a compartment on the arm of the machine. The price is around $200 for both models, so this doesn’t cut it when you need to decide. The Brother Xr95000PRW comes with aa greater diversity on the stitches, so if you’re interested in bigger and more sophisticated projects, it may be the better choice for you. Despite what many may think, picking from the two popular Brother models isn’t easy peasy as they do present common features and abilities. Only an experienced eye may set them apart, but knowing your needs could help you make the final call. 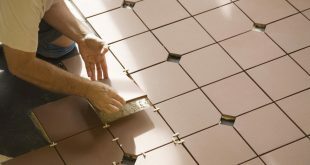 You may choose from the 60 built-in stitches when working with a Brother CS6000i, whereas the Brother Xr9500PRW comes with 100 built-in decorative and heirloom stitches. No matter who your final choice is, it’s good to know that they both come with numerous stitch functions for each of the built-in stitches. Both models present decorative stiches and the zig-zag stitch is 7mm wide. When we take a look at the auto-size buttonholes, the difference between the two models is minor as the Brother Cs6000i comes with 7 one-step auto-size buttonholes and the Xr9500PRW comes with 8 of them. Both sewing machine comes with a very large table that is great to use when developing larger and quilting projects. The bobby winding system is easy to do and they both present a jam resistant drop-in top system. The machines are highly versatile and the needle position button helps them on that. No worries when sewing cuffs or sleeves with the two as both come with a built-in free arm. The working area is well lit for both and it may be that the light on the Cs6000i is a bit brighter. You may also try some monogramming with the XR9500 PRW and the CS6000i also comes with a monogramming foot. Even though the carrying case isn’t as rugged as you’d wish, both models come with one. 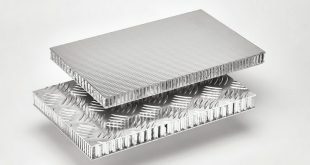 The plastic cover protects them from dirt, dust and other elements. The LCD display is clear and easy to go through for both of them and the machines are easy to understand even by a new-entry level seamstress. You may store your accessories in a special compartment in both models and each of the sewing machines come with plenty of accessories. The price doesn’t set them apart either so it’s not a matter of budget when selecting one of the two. If you’re ready to step up your game when it comes to sewing, the Brother XR95000PRW may be the better option as it’s able to handle more complex projects. As long as you’re not getting a sewing machine for the heavy duty use, you may totally rely on each of the two Brother models. Both of the models are versatile and do a great job for many sewing projects. The HC1850 comes with an impressive 130 stitches, whereas the CS6000i only comes with 60 of them. Both models may help you when monogramming too. The both models come with detachable wide table that is going to help you on the quilting projects. The HC 1850 comes with 14 quilting stitching functions, whereas the CS6000i only comes with 7 of them. The easy threading of top thread and bobbing is great for both of the models, and each of them comes with adjustable sewing speed too. If the FC1850 gives you styles for button-holes, the CS6000i only comes with 7, which is fine for many. You may easily use each of the models and the LCD display is easy to understand and well lit for both of the machines. The working area is well lit for both models and they both manage all the typical jobs for a non-professional seamstress. The menu comes in both English and Spanish for both of the sewing machines. You may store your accessories in the accessory pouch which is kind of a downside for both models. Both of the models are lightweight and easy to carry around, but only the CS6000i comes with a carrying case. 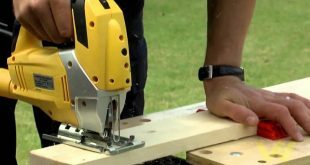 As they’re both lightweight, the machines are great for the non-professional seamstress and don’t really raise up to the needs of the heavy-duty projects. If it were for us to decide, we’d go with the HC1850 for the versatility and number of stitching styles, but go with the CS6000i if you want to carry it around a lot. Both of the mentioned models are made for the non-professional seamstress and they do a fine job with various sewing projects, as long as they’re not heavy-duty level. 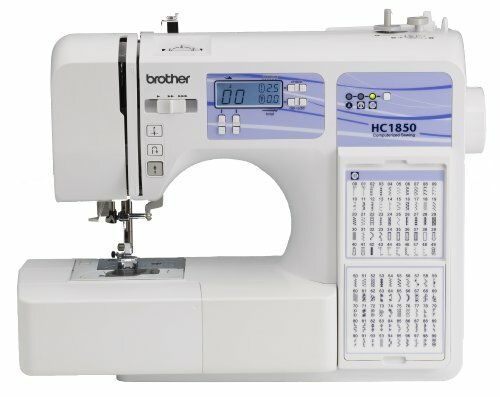 When we take a look at the variety of stitches, the Brother CS6000i gives you no less than 60 built-in stitches to choose from, whereas the HC1850 gives you a lot more: 130 built-in stitches. You may try some monogramming with both of the sewing machines. You may also involve in larger and more ambitious quilting projects as each of the machines comes with detachable wide table for that sort of jobs. The CS6000i gives you 7 quilting stitches, but you may get more creative with the HC1850 since it has 14 quilting functions. We both notice the top thread and bobbing for both of the machines. The speed is adjustable and the maximum sewing speed is the same: 850 stitches per minute. The light for the working area is great for both of the machines that address more to the amateur sewing jobs. The accessories may be nicely stored in pouches for both of the machines. Lightweight, the machines are highly portable. The CS6000i comes with its own carrying case, which is a plus. The menu comes in English and Spanish for both models so the differences aren’t that many. Similar on so many levels, the machines are both addressing the non-professional level seamstress and don’t handle very well the heavy-duty jobs. If versatility and number of stitching styles counts for you, you should go with the HC1850. If you want more portability though, you should give it a try with the CS6000i. You don’t have to be a rocket scientist to see the main difference between these two: the CS 6000i comes with an LCD display for stitch selecting, whereas the Singer 4423 doesn’t have one. But this isn’t the only thing that sets the two apart as their features and performances aren’t that similar either. Sure, they both come with an automatic needle threader which makes the threading of the needle fast and easy every time. The sewing speed is adjustable and the 4423 gets to an impressive 1,100stitches per minute. The Singer 4423 presents a heavy-duty metal frame which makes it great for the heavy-duty projects, as long as they’re not overly sophisticated or creative. 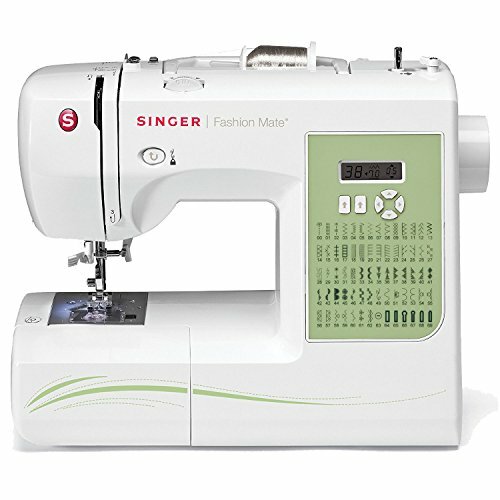 The Singer 4423 only comes with 23 basic, stretch, decorative and buttonhole stitches, whereas the Brother CS6000i comes with 60 of them. The metal frame gives great stability to the Singer 4423, whereas the CS 6000i remains quite lightweight and unable to get into the heavy-duty jobs. Both of the models come with plenty of accessories and the Singer 4423 presents a built-in secret compartment for them too. 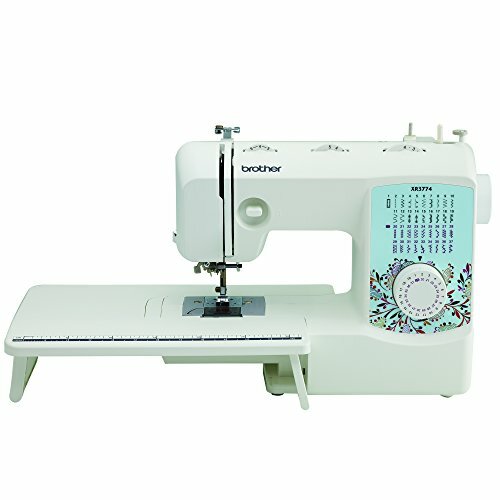 The models come also with top drop-in bobbin, but only the Brother CS6000i comes with a detachable large table for quilting. They do, however, come with a free-arm for hems and sleeves, which gives them more versatility. The machines present light for the working areas, but the Brother CS6000i seems to have a brighter LED built-in. 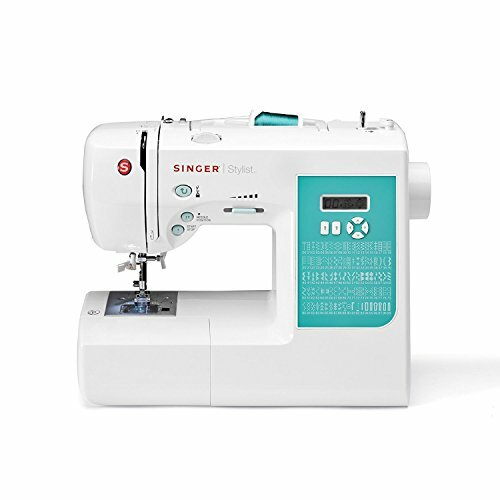 The Brother CS6000i comes with menu in both English and Spanish and you may check solutions for your Singer problems with the help of Singer Sewing Assistant App. The fair conclusion would be that if you’re looking for a sewing machine that is able to sew a great amount of items in a short period of time, Singer 4423 is the better choice. If more sophisticated, home-projects is what you’re aiming for, the Brother CS6000i is the right model for you. Let’s not forget to mention the lower price for the Singer 4423, as compared to the CS6000i. your needs and budget is going to help you when choosing between these two, in the end. When it comes to comparing these two models, we’re kind of ending up sitting on the fence since they’re both quite similar when it comes to features, performances and even the price doesn’t set them appart. Both of the models are computerized sewing machines and present plenty of sewing features. On the other hand, Singer 7258 gives you no less than 100 built-it stitches to work with in your projects, whereas the Brother CS6000i only comes with 60. The Brother CS6000i does compensate the lower number though as it comes with a large detachable table that you may use for some large quilting projects. As a matter of fact, when it comes down to it, this may be the most important difference between these two models: you can involve yourself in larger quilting projects with the Brother CS6000i, whereas it’s a bit more challenging when quilting with the Singer 7258. Both models come with automatic needle threader so threading the machine is always fast and easy and LCD display on both models helps you pick the stich with just a push of a button. Both LCD displays are easy to see and user friendly, by the way. The working area is nicely lit in both models but the Singer 7258’s LED may be a bit brighter than the one of Brother’s CS6000i. The sewing speed is adjustable for both models and the Singer 7258 may get to 750 stitches-per-minute. The Singer 7258 comes with 10 pressure feet, but the Brother CS6000i isn’t far away from it with its 9 pressure feet. Even though Singer 7258 doesn’t come with a carrying case, it does have a built-in compartment for accessories, whereas the Brother CS6000i comes with a pouch for accessories. The menu for the Singer 7258 is in English, Spanish and French, whereas the Brother CS6000i only has a menu in English in Spanish. Two time Consumers Digest award winner, the Singer 7258 may be in front of the Brother CS6000i, but only if you’re not planning any large quilting projects any time soon. 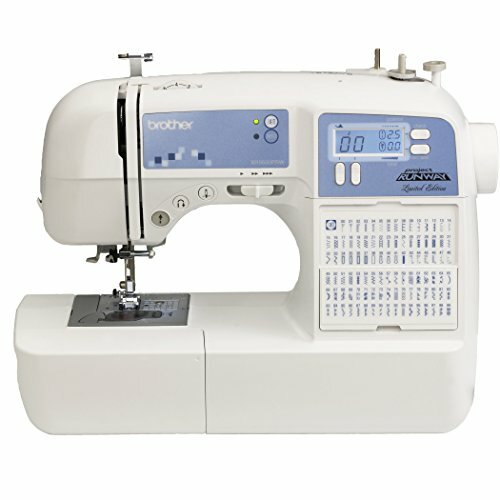 Even though the Brother CE1100 PRW doesn’t come with all the bells and whistles of the CS6000i, it sure doesn’t disappoint on many levels, especially if you’re an entry level seamstress. The Brother CE1100PRW does come with a rather simple design, as opposed to the Cs6000i that makes a great first impression every time. When it comes to the performances and features, the Brother CE1100PRW doesn’t disappoint though and can make any beginner quite happy. Apart from their looks, the price tag also makes a difference between the two models so if budget is an issue for you, you shouldn’t sit on the fence and get the Brother CE1100PRW in a blink of the eye. Both of the machines come with LCD display for the stitch selection, but the one of the CE1100PRW doesn’t look as sophisticated and pretty as the one of the CS6000i. 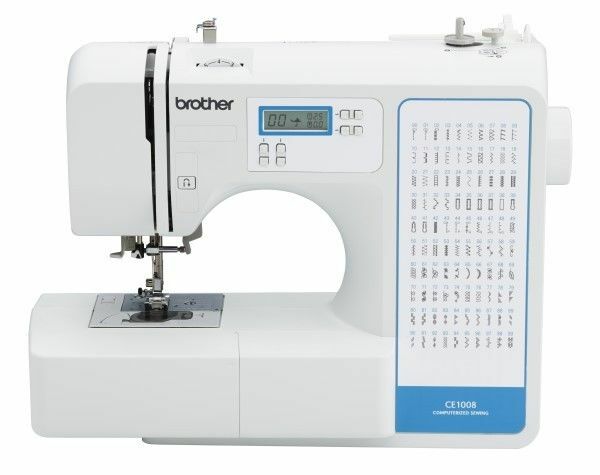 The Brother CE1100PRW comes with 8 styles of one-step and auto-size button holes, whereas the CS6000i comes with 7 of them. You may work with 100 various built-in stitches when using a CE1100PRW, whereas you can only rely on 60 built-in stiches for the CS6000i. Both models come with quick set drop-in bobbin system and an advanced needle threading system, which makes it easy for threading. The CS6000i has 9 included presser feet and the CE1100PRW only has 7. Let’s not forget that the CS6000i comes with an extendable large table to use for the big quilting projects, whereas the CE1100PRW may not be the best choice for that kind of projects. The best part of the CE1100PRW is that it’s a great choice for any new-entry level seamstress that is easy to use, despite its several functions and features. The price is sure great considering the quality you get. You may easily sew hems and cuffs with both of the machines and rely on them for many creative projects. If you don’t want to spend much as you’re new to sewing, the CE1100PRW is the better choice for you anytime. There are many differences between the two Brother models and the first to begin is the stich selection. If the CS6000i comes with an LCD display for selectin the right stitching, it is a stitching dial that helps you on that when it comes to the Xl2600i. Both of the models come with built-in free arm that is great when sewing hems and sleeves. Additionally, the Brother Cs6000i comes with an extendable table to use for the larger quilting projects. You may also develop some smaller quilting jobs with the Xl26000i as you may purchase extra a quilting feet. 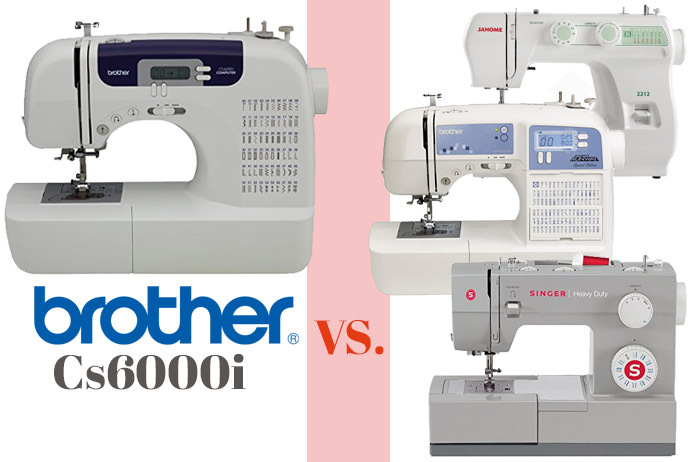 When we’re taking a look at the built-in stitches, the difference is quite substantial as the Brother Cs6000i comes with 60 built-in stitches, whereas the Xl2600i comes with only 25 built-in stitches. Both of the machines do come with drop-in bobbin loading and easy needle threader. As for the buttonholer, the Brother CS60000i stands out again as it has 7 auto-size buttonholer, whereas the Xl2600i only has one. The Xl2600i comes with 6 presser feet and the Cs6000i has 9 of them. The sewing speed is pretty similar, but the Cs6000i has an 850 stitches-per-minute, while the Xl2600i has 800 stitches. Let’s not forget that the sewing speed is only adjustable for the CS6000i. The working area is lit for both models, but the CS6000i uses LED light, whereas the Xl2600i uses bulb lighting, which is also pretty ok. 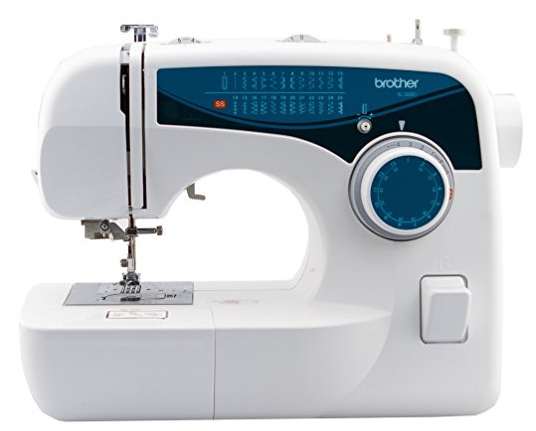 The Brother Xl2600i is very easy to use so it’s a good choice for a beginner seamstress. Some may experience a learning curve with the CS6000i model, as it comes with so many other features and possibilities. Therefore, it all comes down to your needs and abilities as the XL2600i is great for an entry-level seamstress and the CS6000i addresses to anyone who wants to step up their sewing game, right from the beginning. When you compare the two models what you’re planning to do with the sewing machine is definitely the main criteria when telling them apart. The Janome 2212 presents quite some entry-level functions, whereas the Brother CS6000i makes a better impression with all of the features and performances. 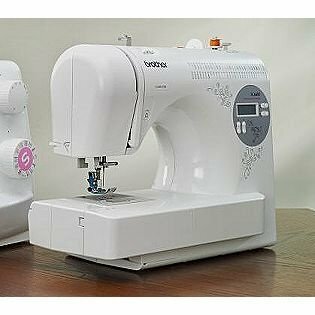 Don’t get us wrong: they are both a great fit for an entry-level seamstress, but one of them satisfies one beginner that doesn’t plan on stepping up his/her game (this is Janome 2212), whereas the other one (this would be Brother CS6000i) is going to help you when getting into the more sophisticated projects. Janome 2212 comes with 12 built-in stitches, which is quite far from the 60 built-in stitches that Brother CS6000i has to offer to you. 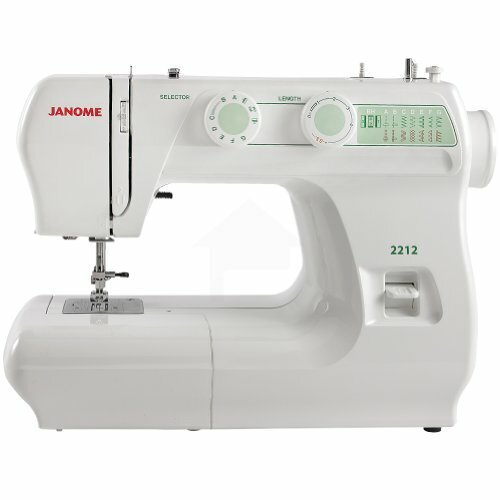 The differences continue with the buttonholes and the Janome 2212 has a four-step buttonhole, whereas the CS6000i comes with no less then 7 styles 1-step buttonholes. The Brother CS6000i may seem flashy with its easy to use LCD display for stitching selection and you’re going to have to go “old-school” with the Janome 2212 that has a simple dial for it. If almost everything about Janome 2212 is manual, the Brother CS6000i is automatic on many levels. Both models come with free arm which makes it easier when sewing sleeves and hems, but it’s only the Brother CS6000i that comes with an expandable large table for the large quilting projects. Janome 2212 is a small sewing machine, quite compact and very easy to carry around, which we can’t say about the Brother CS6000i. sure, the retractable carry handle on the Janome 2212 does make transportation and storage a lot easier. Brother Cs6000i comes with 9 presser feet and it’s obvious that Janome 2212 only needs 5 of them for the sewing jobs. If you’re able to use the automatic needle threader for the Brother CS6000i, you’re going to have to make it manually with the Janome 2212. The sewing speed is adjustable for the CS6000i, but the speed is quite the same for both models, with Janome surpassing the CS6000i with its 860 stitches per minute (CS6000i has 850). The fair conclusion is that Janome 2212 is a great choice if you want to use a manual sewing machine that does a great job for a limited type of projects. If you want to step up your game, go automatic, without paying more, the Brother CS6000i is far better for you! Deciding between the two models isn’t as easy as anyone may think as both models come with pretty similar performances and features, and even the price tag doesn’t tell them apart clearly. Singer 7256 comes with 70 built-in stitches, which is more than the 60 built-in stitches of the Brother CS6000i. You may choose from 9 includes presser feet for the Brother CS6000i and only from 5 in the case of Singer 7256. When it comes to sewing sleeves and hems, you can rely on both models just the same. Both models feature LCD display for stitching selection and LED work light. We can’t really say there are noticeable differences between the two LCD displays as they’re both user friendly and easy to read. The automatic needle threader is present for both models and so it is the top drop-in bobbin system. The Singer7256 comes with 6 fully automatic 1-step buttonholes, whereas BrotherCS6000i has 7. 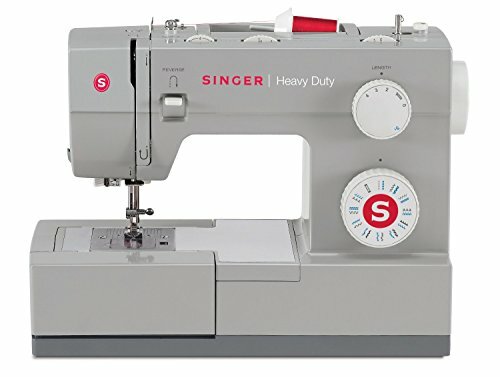 Even though Singer 7256 may help you in some quilting projects, it’s the Brother CS6000i that comes with a detachable, oversized table for the larger projects. Brother CS6000i is faster than the Singer 7256 as it has a maximum 850 stitches-per-minute and the Singer 7256 has around 750 stitches-per-minute speed. Nevertheless, the speed is adjustable for both models. Singer7256 has a heavy-duty metal frame, which gives it weight and more stability. By contrary, Brother Cs6000i has a plastic frame which makes it lighter, losing on the stability though. As the two models are similar on so many levels, we’re quite in a pickle when having to decide between the two. Nevertheless, for the heavy-duty metal frame and the durability feel that it has, we’d go with the Singer 7256 this time. Coming to a final choice between the two models requires a lot of attention as the two models do present similar features and performances. Additionally, they have similar prices, so the money issue isn’t going to help you much either. The 60 built-in stitches of the CS6000i are quite a lot, but the Singer 7256 takes the lead on that with its 70 built-in stitches. It’s the turn of the CS6000i to get in front as it comes with 9 presser feet, whereas the Singer7256 only comes with 5. As for sewing cuffs, hems or sleeves, the machines are allowing you to do it nice and easy every time. The LCD display for stitch selection is easy to use and helpful for both of the machines. The LED for the working area works fine and it’s quite bright for both models too. Both of the machines come with automatic needle threader and the top drop-in bobbin system wins you time during your projects. As for the buttonholes, both of the machines come with fully automatic 1-step buttonholes. Singer 7256 comes with 6 styles though, as opposed to the Cs6000i that comes with 7. If you’re planning some ambitious quilting or larger projects, you should totally rely on the Brother CS6000i as it comes with a detachable larger table especially made for that. The sewing speed is adjustable in both cases, but the Brother CS6000i has an 850 stitches per minute speed, whereas the Singer 7256 is a bit slower (in a sort of way): 750 stitches per minute (which is impressive either way). The Singer 7256 is a lot sturdier than the BrotherCS6000i since it has a rugged metal frame that adds weight. 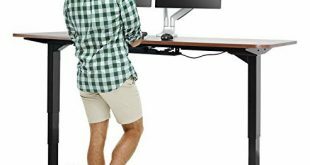 On the other hand, the Brother CS6000i features a plastic frame so it’s easier to carry around, compromising on the stability. The fair conclusion is that Singer7256 is the more durable and stable sewing machine, which may be the selling point to many. Both the Brother SC9500 and the CS6000i are designed to help you not only for the easy jobs, but also for the larger quilting projects. The SC9500 gets ahead the CS6000i when it comes to variety, as it comes with 90 built-in stitches and 120 stitch functions, as opposed to the CS6000i that only comes with 60 built-in stitches. Additionally, the SC9500 comes with 55 alphabet stitches and both machines come with built-in sewing font for basic monogramming. You can easily try 1-step buttonholes with both of the machines, but the CS6000i has 7 styles of them, whereas the SC9500 has 8 styles. Sewing hems, cuffs and sleeves is easy with both machines as they come with drop feed for free-motion sewing and quilting. The LCD display for stitching selection is easy to do for both models and the display is easy to understand in both cases. The working area is brightly lit by LED for both of the machines. The similarities don’t stop here and both machines come with automatic needle threading and multiple needle positions. The easy bobbin winding and the quick set drop in top bobbin add up on the list of things in common too. The sewing speed is adjustable for each of the models. You may store your accessories in the built-in accessory storage for both of the machines. They are both rather lightweight and easy to carry around. As you can see, the machines are quite similar on many levels so choosing one of them isn’t that easy. They’re both great and easy to use even by an entry level seamstress. If we’re taking a closer look, we may come to the conclusion that the SC9500 is a bit more fit for the sophisticated projects that involve more monogramming. The price may also help you when making the purchase and you’re going to have to pay a bit more for the SC9500. The first thing that strikes you at the Brother SC6600 is its appearance and its floral embellishment makes it look nicer no matter where you’d place it in your house. The Brother CS6000i doesn’t look as artistic as the SC6600, for sure. The machines present similar performances and they both come with 60 built-in stitches, but the SC6600 has almost 100 stitch functions (97, to be more precise). No worries when sewing hems, cuffs or sleeves either as the machines come with free arm for easier jobs on the sleeves and hems. Both Brother models come with 1-step auto-size buttonholes, but you have more options with the CS6000i: 7 styles, as opposed to the SC6600 that only has 5 styles. The LCD screen allows you computerized stitch selection for both of the sewing machines. The LCD display is easy to understand and to use, in both cases. The features of the machines keep on going to be the same on many levels: the automatic needle threading, the built-in thread cutter, the quick set drop-in bobbin. Even the sewing speed is the same: 850 stitches-per-minute. And yes, the speed is adjustable in both models. They both come come with variable needle position and built –in accessory storage, but many consider the CS6000i needs improvement on that part. Each of the machines is lightweight, but it seems that the SC6600 has better stability. The safety power switch makes it safer too. Both of the machine come with super-wide zigzag (7mm) and plenty of decorative stitches, which doesn’t make the choosing easier. The built-in handle gives the SC6600 more portability and this may set them apart for good. Sure, the Brother SC 6600 strikes as a prettier sewing machine that helps you on so many projects. But there’s got to be something more than that since the CS6000i is way popular than the first one. Cute and easy to use, the Brother XR3774 is a great choice for any beginner and it may be one of the best choices when you go shopping with a tight budget. 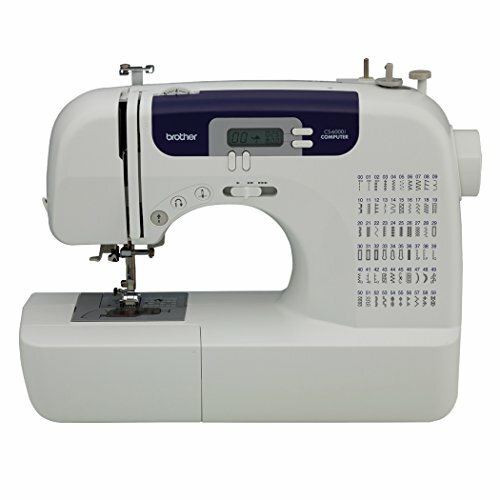 Even though the CS6000i doesn’t necessarily addresses to the professional seamstress, it does go ahead of the XR3774 as it comes with plenty of features and ability to handle more sophisticated jobs. The difference between the two is quite obvious from the first glance as the C6000i comes with an LCD display for stitch selection, whereas the Xr3774 only has a dial for stitch selection. However, the XR3774 has nice embellishments on the front, which don’t really compensate for the manual stich selection. The CS6000i comes with 60 built-in stitches, whereas the XR3774 only gives you 37 built-in stitches to choose from. Nevertheless, it has 74 total stitch functions. The XR3774 also presents 8 sewing feet and the CS6000i has 9, so the difference isn’t that big on this level. However, you may use7 styles of one-step buttonholes for the CS6000i and only one in the case of XR3774. The working area is well lit with a LED light in both models and they both present jam-resistant top drop-in bobbin. We notice built-in needle threader for both models and a large table that allows you develop larger projects. The Xr3774 doesn’t feature foot pressure adjustment, but both machines come with free arm for easier sewing of sleeves and cuffs. 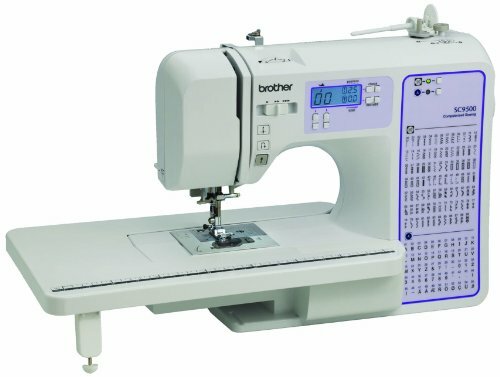 None of the models makes it as a great choice for the professional seamstress, but the Brother CS6000i is able to handle more sophisticated and quilting projects, as compared to the XR3774. The prices don’t make a big difference and the Brother CS6000i steals the thunder from the XR3774 with its LCD stitch selector dial and ability for the more complex jobs. 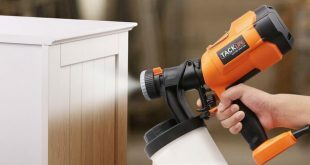 Even though, at the end, it’s the XR3774 that looks prettier anywhere in your home. It’s quite challenging to choose between the two models as not only they have many features and performances alike, but they also come at similar prices. We’re trying to make a choice between two sewing machines that are both computerized and give plenty of sewing option. Truth be told, the Singer 7258 allows you to choose one from the 100 built-in stitches and you can only use one of the 60 in the case of CS6000i- which isn’t bad at all, though. The CS6000i comes strongly from behind as it features a detachable larger table that is so handy when developing some sophisticated and large quilting projects. Even though Singer 7258 is rugged enough to handle some sophisticated jobs, it is the CS6000i that is more reliable for the quilting and larger projects. The sewing speed is easy to adjust for both models and the speed is pretty similar: 750 stitches-per-minute for the Singer7258 and 850 for the CS6000. The needle threader that is automatic in both, therefore the threading is fast and easy for each model. The LCD displays are pretty intuitive and the working areas are well lit with LED light. The general opinion is that the LED light of the Singer 7258 is brighter than the one of the Brother model. As for the accessory storage, we notice the built-in compartment for accessories for the Singer 7258. The CS6000i comes with a pouches for the same thing. The menu for Cs6000i is in English and Spanish, and the Singer 7258 also comes in French, along the other two languages. If you still can’t decide between the two, maybe the following info is going to help you seal the deal. The Singer 7258 is two time Consumers Digest winner, even though Brother CS6000i is very popular out there too.